I can’t tell you how excited I am to share this piece of art with you. It’s been a long time since I started the process, and I’m thrilled with how it’s turned out. 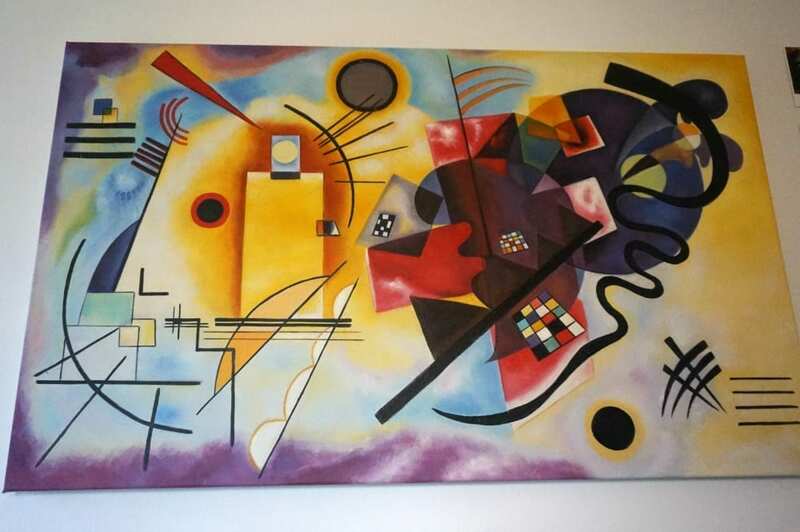 Now don’t start thinking that I’ve been busy painting my own Wassily Kandinsky, that really hasn’t been happening. Instead I’ve had 1st Art Gallery create me my very own piece of reproduction wall art, oil on canvas. 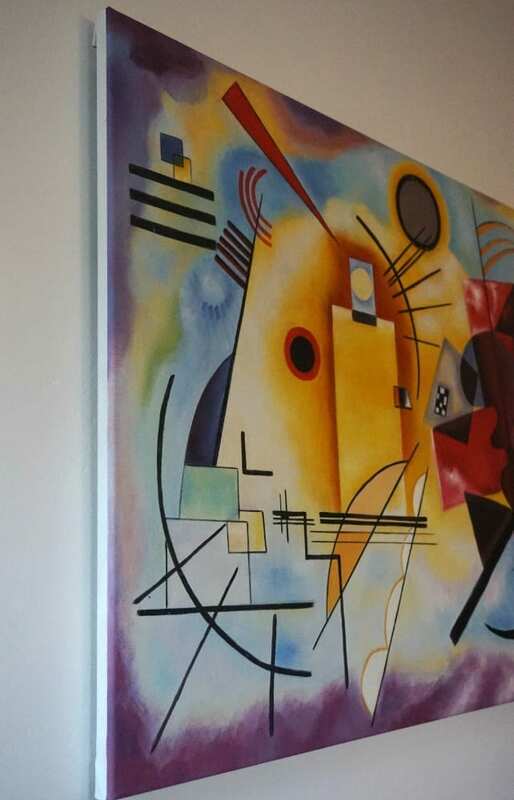 It’s called Yellow Red Blue originally painted by Wassily Kandinsky in 1925. Consisting of a number of forms, shapes, inclines, gradients, and scattered outlines, Yellow Red Blue is a work of remarkable simplicity expressed with extraordinary complexity. The colours are so vibrant and intense, and the detail is incredible. So to tell you more about how all this works. 1st Art Gallery have a bank of talented artists that can replicate any piece of art for art lovers around the world. Clients include royal family, hotel chains, cruise liners, museums, interior design firms and Hollywood production companies. Obviously they also create art for the general public too! The 1st Art Gallery website is home to thousands and thousands of art pieces, from which you select your favourite and then set on a size. Sizes are given in the most suitable for the painting, but are also available in many other sizes too, to suit you and your home. The process makes is possible for you to have your own handmade oil painting reproduction from any famous artist. The art is commissioned and painted by a professional artist specifically for you. Taking around 4-6 weeks, you know that you’re getting something bespoke and handmade just for you. Once complete, the art arrives rolled in a tube ready to be stretched onto a frame with a decorative frame adding if that’s what you want. I just had mine stretched onto a wooden frame at a local art framing shop, which cost just over £60. It’s something to factor into your budget if you make an order. 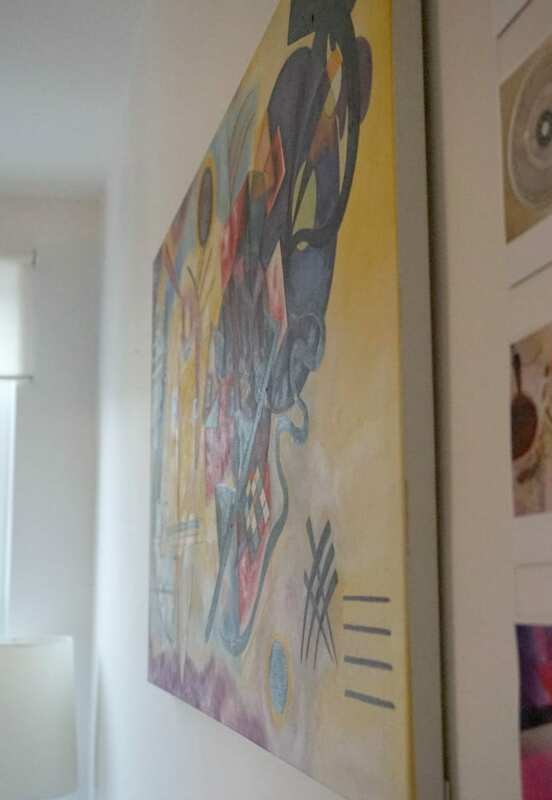 The trickiest thing had to be actually choosing the painting in the first place. I loved that the site had loads of information on art movements and all the famous artists, really helping me make up my mind. I was able to narrow it down and choose something abstract and contemporary. 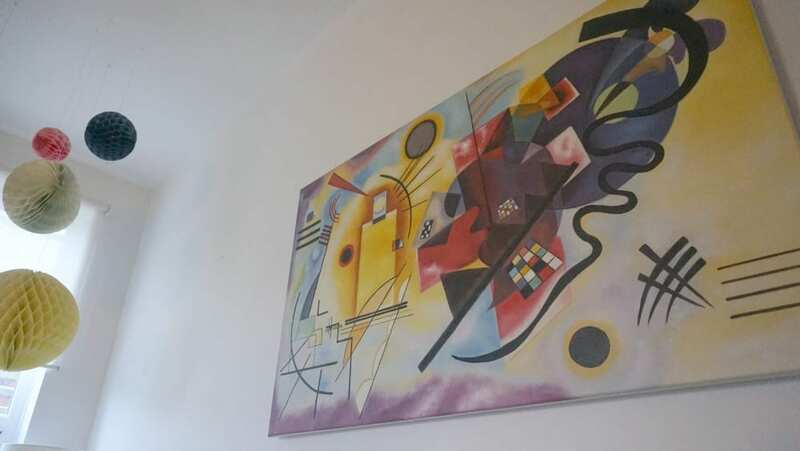 I’ve always been a fan of Kandinsky but didn’t want anything too obvious. This piece works with my decor and the colours I’m currently using in the house renovations. I may move it in the future, but don’t think I’ll have any trouble finding a spot in which to hang it. If you are looking for something special, as a gift or a treat for your and your home, you can’t go wrong. 1st Art Gallery are the largest world-wide supplier of reproduction art supplying paintings to over 120 countries. The paintings are backed by a 100% Money Back Satisfaction Guarantee, a Lifetime Warranty and are delivered by courier free of charge. The Certificate of Authenticity which arrives with every painting provides an assurance and verifies the authenticity of the hand painted fine art reproduction you purchased. What are you waiting for? If you check this out and find something you like, you could hang it just in time for Christmas! Find out more at the 1st Art Gallery website here. The art was gifted for the purposes of this post, but all comments and opinions are genuine and honest. This artwork is amazing. I am a big fan of modern art. I adore the Tate Modern and the stedelijk museum in Amsterdam. Only recently I went to Dismaland – the Banksy exhibition which was brilliant. I am off to have a look now at the 1st Art Gallery website.